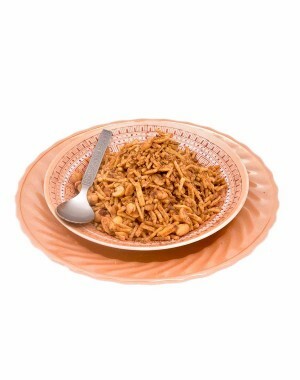 It is a spicy delicious treat made of potato flex & peanuts. 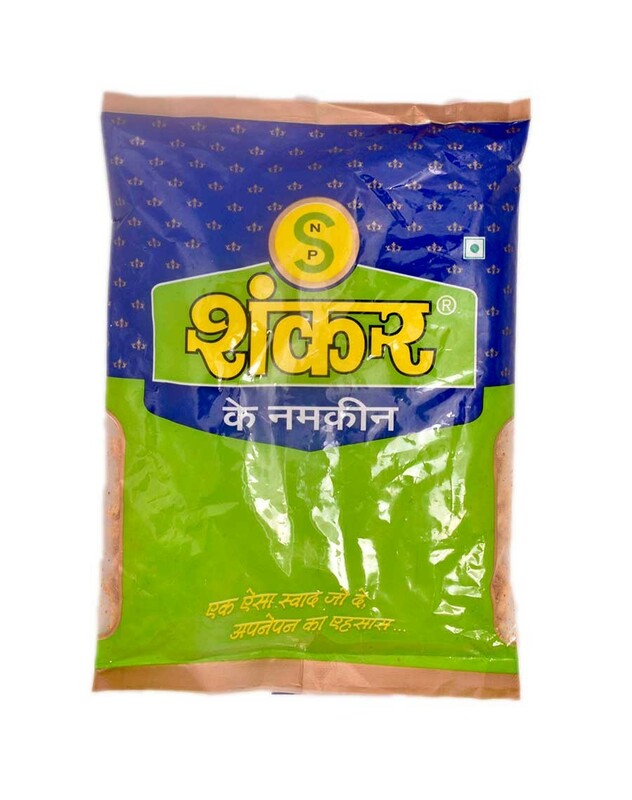 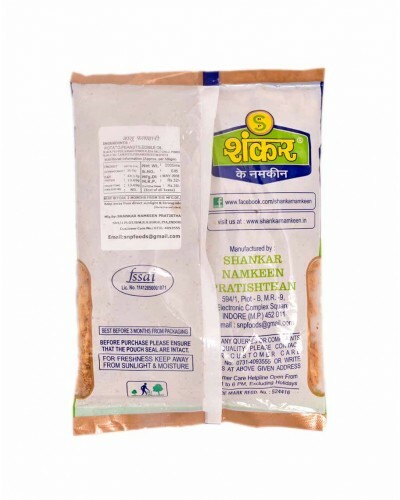 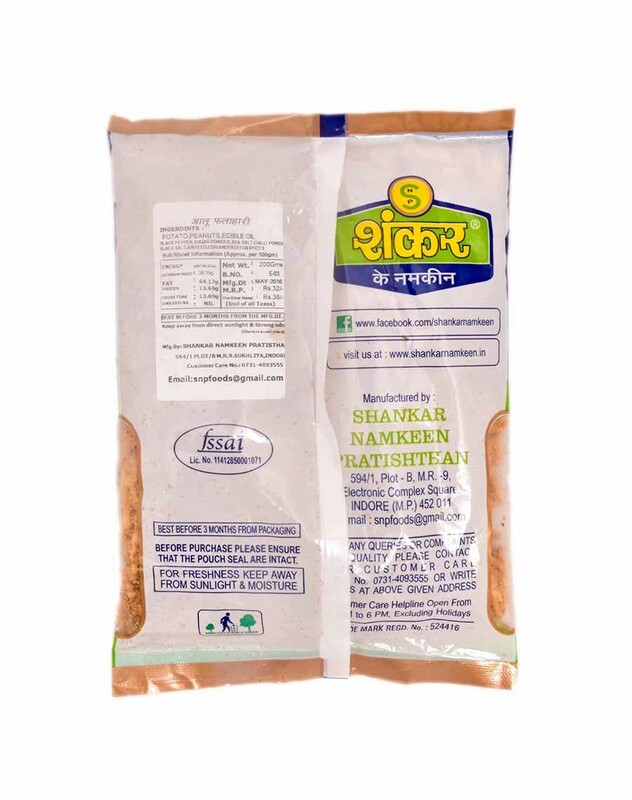 This veg snack food is a healthy option to be used during fasting. It contains aloo, edible oil, peanuts, red chilli powder, khas-khas, spices & condiments.